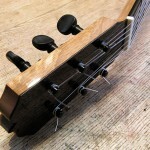 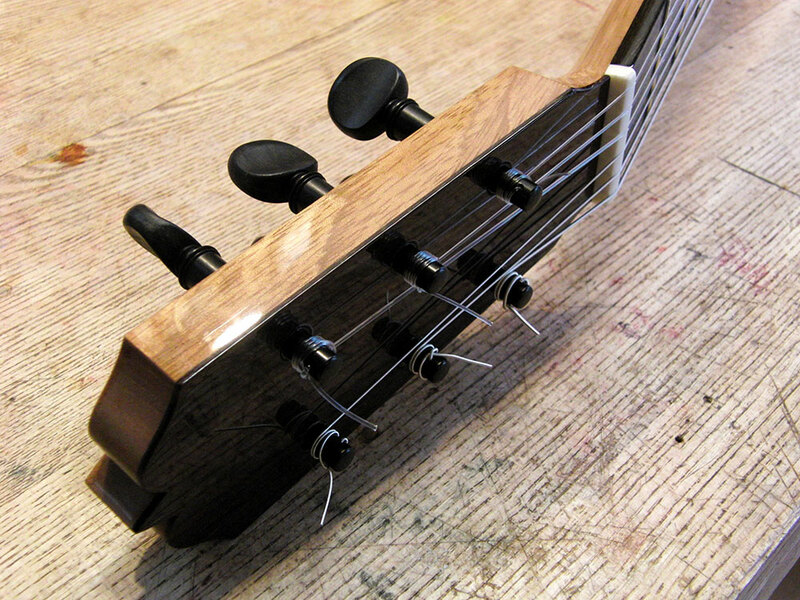 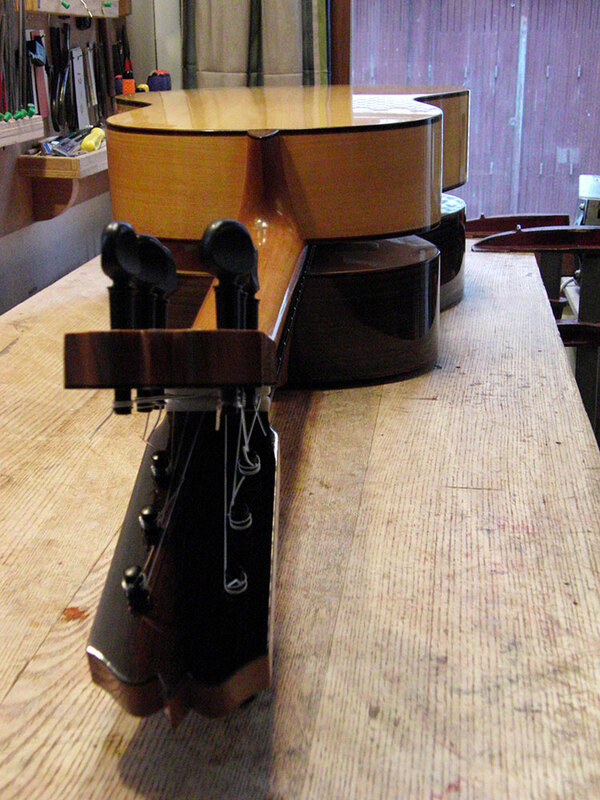 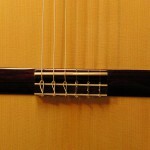 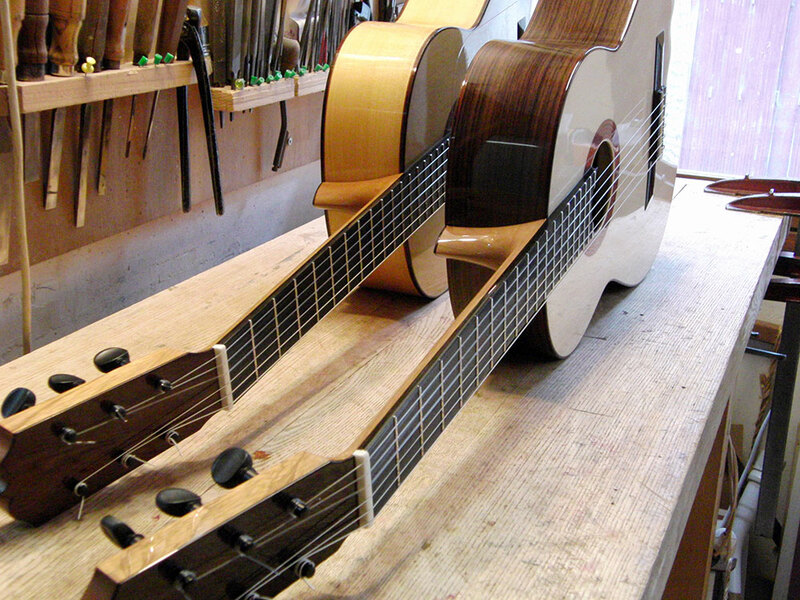 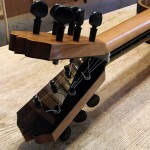 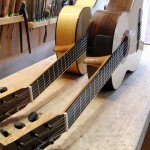 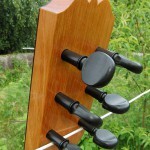 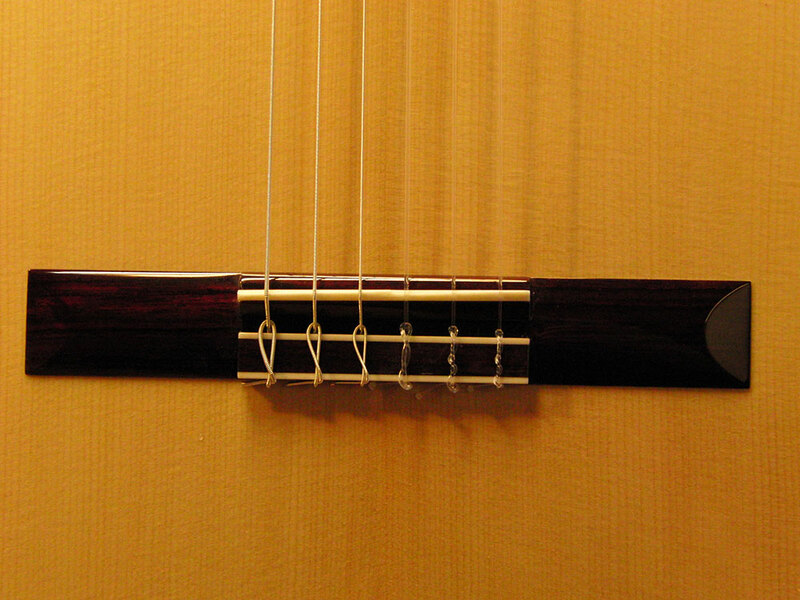 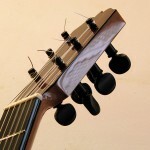 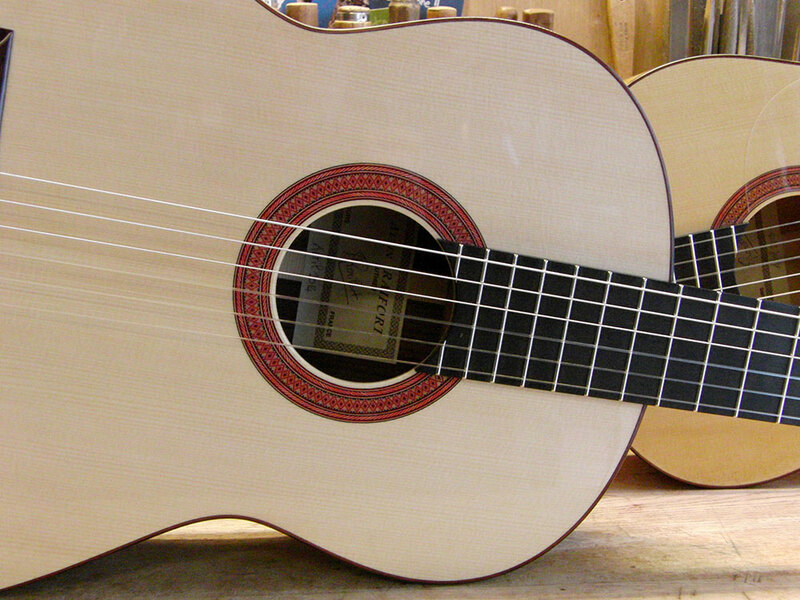 A very light guitar, made in the Spanish tradition: European spruce top, fan struts, pegs, light woods, immediate response. 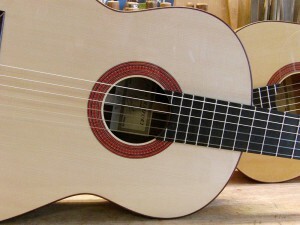 Flamenca Blanca : cypress back and sides. 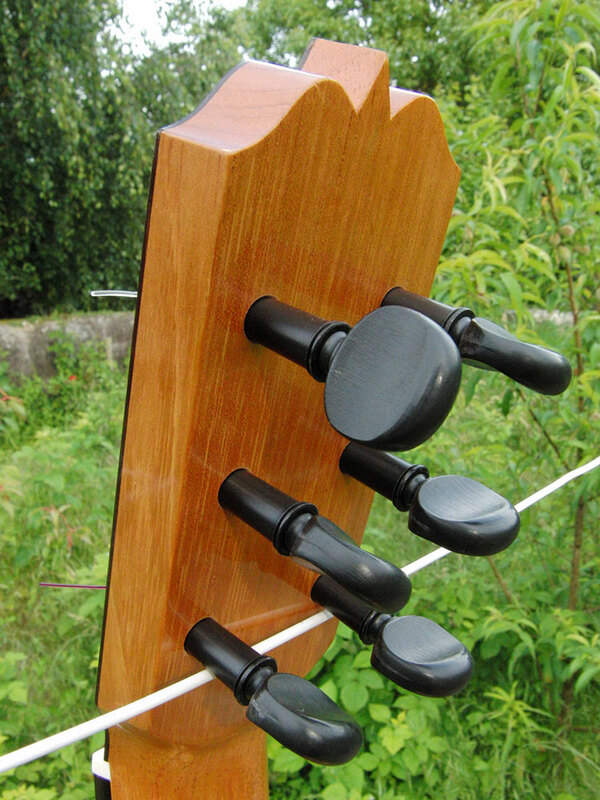 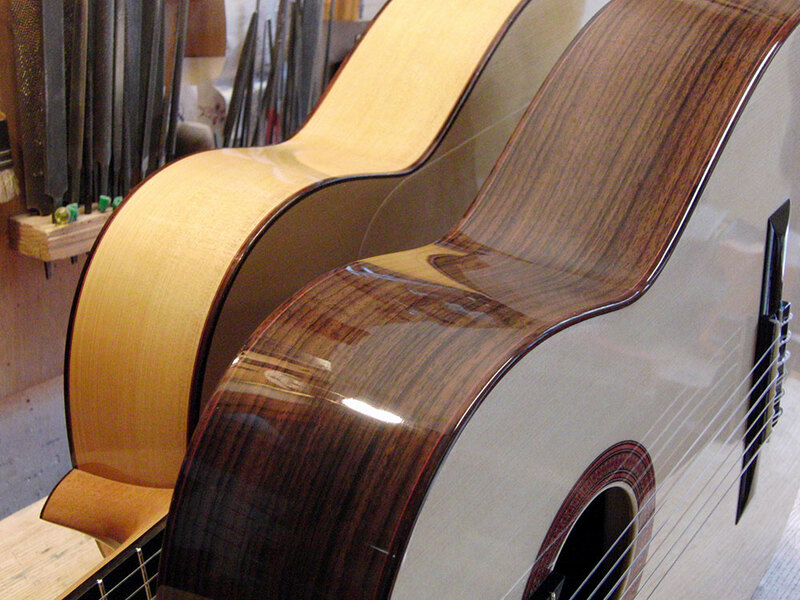 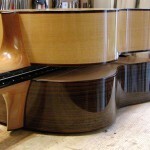 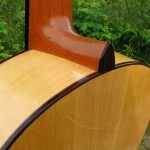 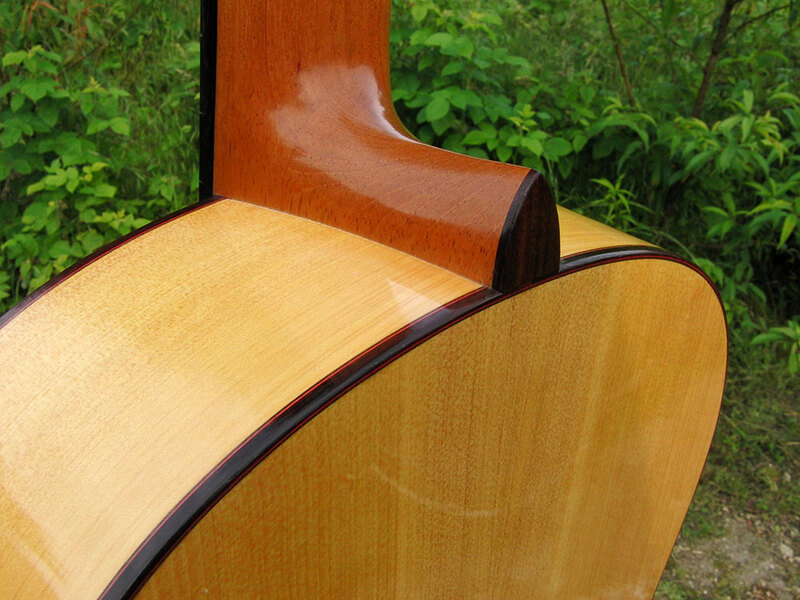 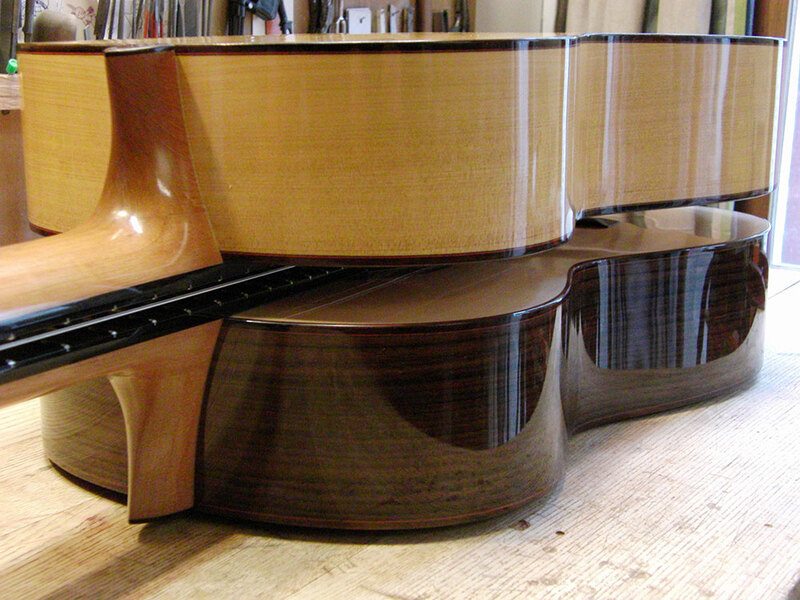 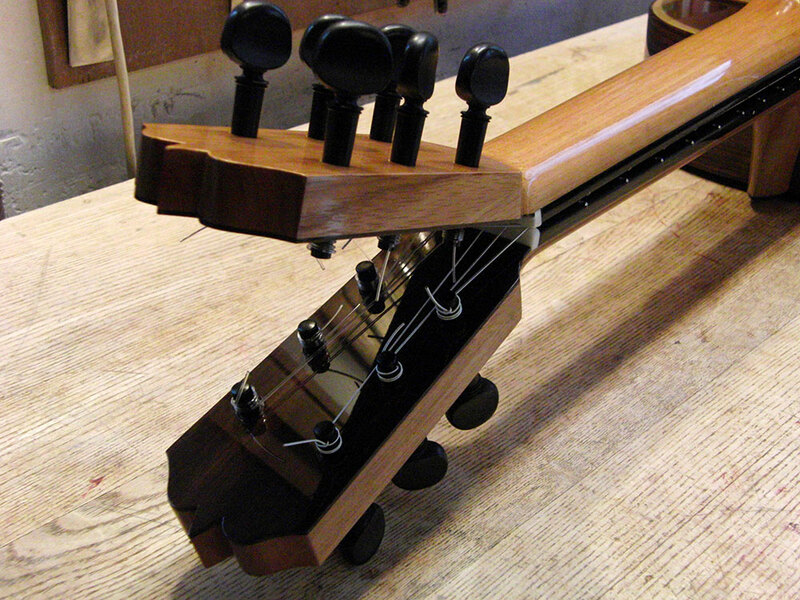 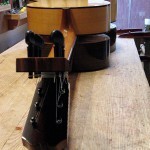 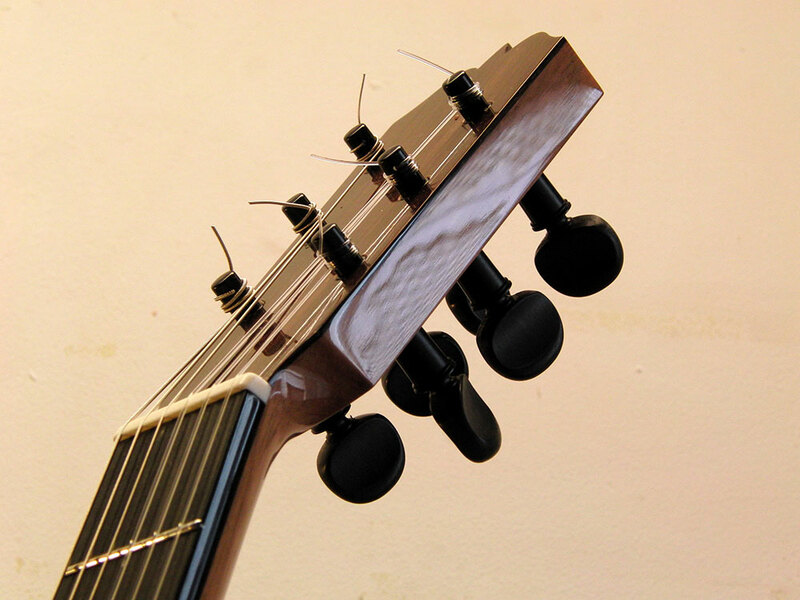 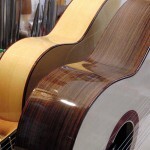 Flamenca Negra : Indian rosewood back and sides.